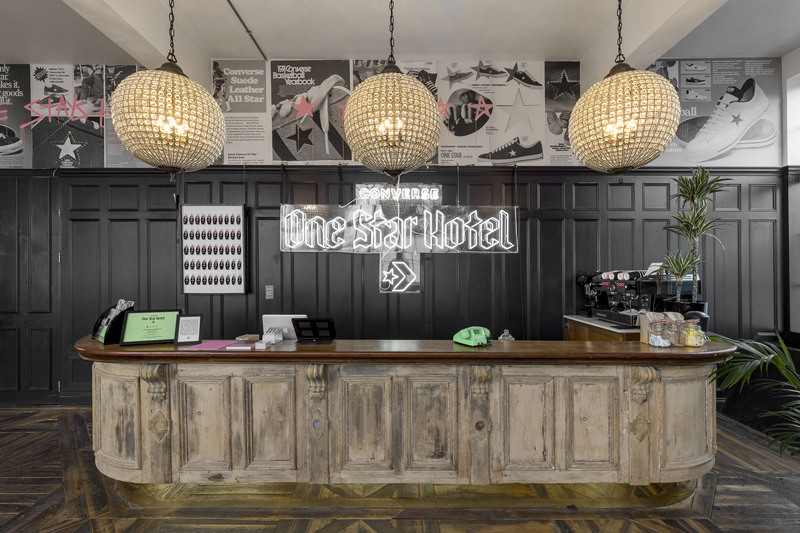 Converse, the American trainers brand, is creating a hotel with rooms curated by music artists A$AP Nast, Yung Lean & MadeMe. The “One star hotel” will feature “staff with attitude, loud neighbours, the freshest sneakers as standard and all-nighters in shoebox rooms”. There will be a series of workshops, talks and live music from Princess Nokia, IAMDDB, Mademe and more. The brand is using the activation to promote its range of One Star shoes. The “One star hotel” will be open on 16 and 17 February in London’s Shoreditch. The design has been created by Hotel and the experience will be delivered by XYZ. The brand is working with IPG Mediabrands agency Initiative for out-of-home and social media work to promote the activation, as well as partnerships with Time Out and Spotify.